IRON MAN madness is back as IRON MAN 3 is now showing in theaters nationwide! In KCC Cinemas Gensan, watch IRON MAN 3 in 3D in three of its theaters - Cinema 1, Cinema 2 and Cinema 4. Admission ticket at only P130.00 with FREE Popcorn. Last full show is still at 9:00 o'clock in the evening. 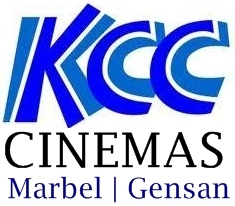 Check out below the latest cinema screening schedule for KCC Cinemas in Gensan for April 24 - April 30, 2013. MOVIE AND SCREENING TIME ARE SUBJECT TO CHANGE WITHOUT PRIOR NOTICE. Always check back here at South Cotabato News for the latest cinema screening schedules for KCC Malls Cinemas, or Follow us on Twitter at @southcotabato to receive updates on the latest happenings and events around the region.